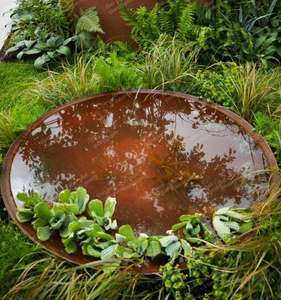 Bring the beauty of water into your garden with a water feature and you will not be disappointed. They create beautiful sculptural focal points and at the same time bring a natural sense of calm and tranquility visually and by the gentle sounds created. 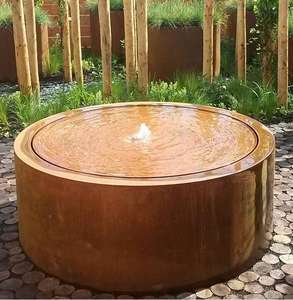 Especially beautiful in natural sandstone and slate or stunning contemporary Corten steel. Natural Rainbow Sandstone Water Feature Kit, With Twist Base and Water Bowl.